“The Tale of the Bamboo Cutter,” one of Japan’s oldest folk stories, has long been a favorite of mine. Last night, I watched an adaptation by Studio Ghibli, The Tale of the Princess Kaguya (2013), which I heartily recommend. The animation was hand-drawn over eight years, and it may be the last film ever directed by now-octogenarian and acclaimed Studio Ghibli co-founder Isao Takahata. In addition to the quality of the animation and storytelling, the myth itself is full of the “glorious sadness” of paganism, the mixture of beauty and fatalism that flavors all the best stories of the pre-Christian world. Here is the story, in brief summary. A poor bamboo cutter finds a tiny, luminous baby girl in a bamboo grove. He raises her, and she grows supernaturally quickly into a young woman. Meanwhile, the bamboo cutter receives gifts of gold in the bamboo he cuts and is soon very wealthy. He purchases a magnificent house, and his foster-daughter, Princess Kaguya, is renowned for her beauty and grace. She acquires many suitors, but sets them on impossible tasks. Even the Emperor takes an interest in her, and she rebuffs him. In time, she reveals that she comes from the moon, and she must return to her people imminently. Despite the efforts of her foster family and the Emperor himself, the semi-divine moon people come and carry her back off to heaven. The original narrative has a further subplot involving the Emperor which does not make it into the movie (the reason for which will become clear later in this review). After Kaguya refuses to marry the Emperor, they become correspondents and friends. When the moon-people fetch her, they give her a drink from the Elixir of Life. She is not allowed to give this to her elderly father, but she can and does send a phial to the Emperor. The Emperor, in mourning at having lost her forever, burns the elixir on Mount Fuji. As I have lately been studying principles of Christian response to nature-myth (e.g., here), I wish to discuss The Tale of the Princess Kaguya as a truth-telling story that points to fulfillment in Christ. By this I do not mean that there is a Christian message coded into the film, or that we can turn the story into a Christian morality tale; but I do mean that its truthfulness about reality necessarily results in a hidden meaning that may be illuminated by the work of Christ. 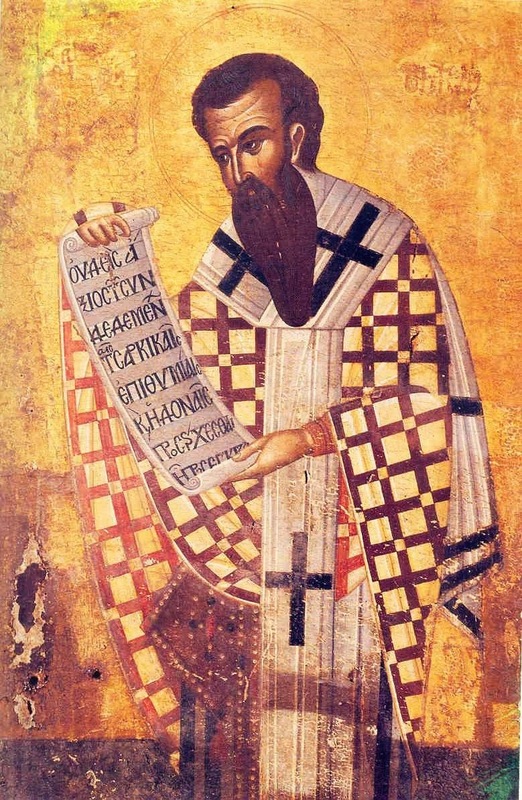 According to Gregory of Nyssa, virginity is a sign to us of spiritual detachment, which is itself the restoration of the human creature to a state of order, purity, and peace. The goal of detachment is contemplation of the perfect and infinite beauty of God and participation in it. Evangelicals are not known for their attention to beauty. The other transcendentals, truth and goodness, have a clear place, but at least on a popular level, beauty rarely seems to make an appearance. The reason for this lies to a certain extent in our Protestant heritage. The Reformers were eager to strip away the aura of mystery that seemed to give so much power to the priests. Beauty was regarded by many as suspicious and deceptive, and so it was divided from truth. Today we waver between iconoclasm and spectacle. Gregory is one of the first and greatest theologians of divine beauty, and perhaps we may look to him to begin to recover a robust doctrine. To discuss the beauty of God is to enter into another theological conversation too vast for me, so I will content myself for the most part with describing Gregory’s use of the language of beauty, as Gregory invokes the very archetype words can never truly capture.